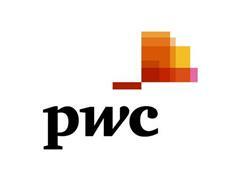 €1.3 trillion could be released from the balance sheets of globally listed companies if they take steps to address working capital efficiency, according to the findings in PwC’s latest report Navigating Uncertainty: 2018 Annual Global Working Capital Study. The Navigating Uncertainty: 2018 Annual Global Working Capital Study can be accessed via &lt;https://www.pwc.com/gx/en/services/advisory/deals/business-recovery-restructuring/working-capital-opportunity.html&gt;. The report analyses the performance of 14,694 global firms, with revenues totalling €37.5 trillion. PwC’s working capital team analysed their respective working capital performance in receivables, payables, and inventories over a five year period. Please visit www.pwc.com/workingcapitalopportunity for more information.